Walking down the streets of Venice can be difficult at the best of times. Regular tourists, cruise ship passengers, vendors, beggars, school children, delivery men with hand carts piled twice their height all jostling for space on these crowded streets all seem to part way for the guy leading our pack. A cross between a WWF wrestler and ‘The Dude’, he clears a path not only with a loud “Ciao” and the occasional clasped hand but also his purposeful walk and intense stare. Following behind in her tattoo sleeves and Magenta hair is the better half of the dynamic duo, making sure the group sticks together, has time to take photos, pointing out occasional architectural oddities, making sure nobody is hitting the wine bottle too heavily. 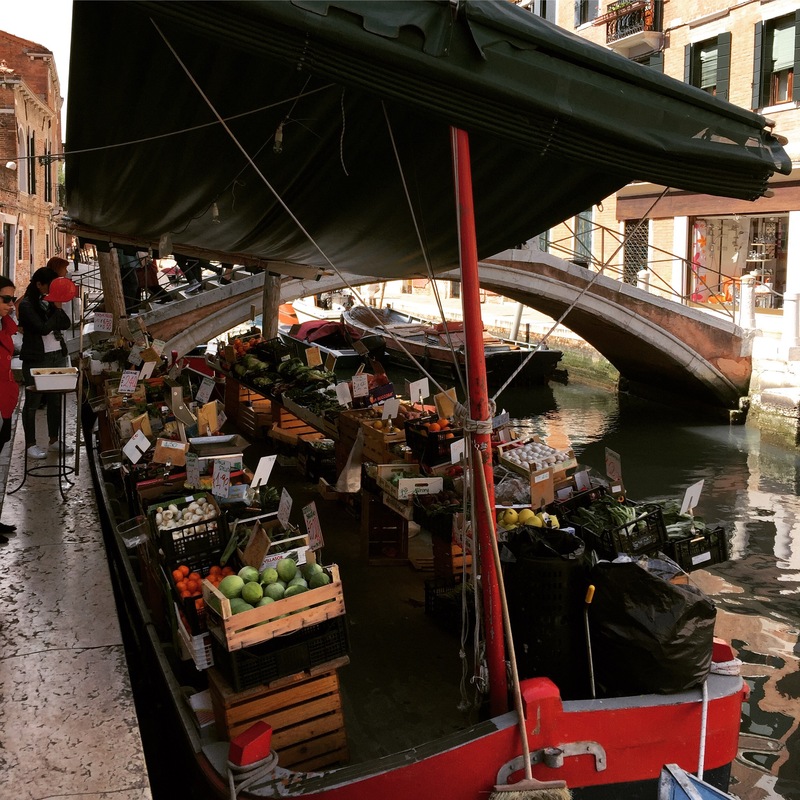 They are the masterminds behind Venice Bites Food Tours and if they are taking you on their #1 ranked food Tour in Venice, Italy, they are also your new best friends. 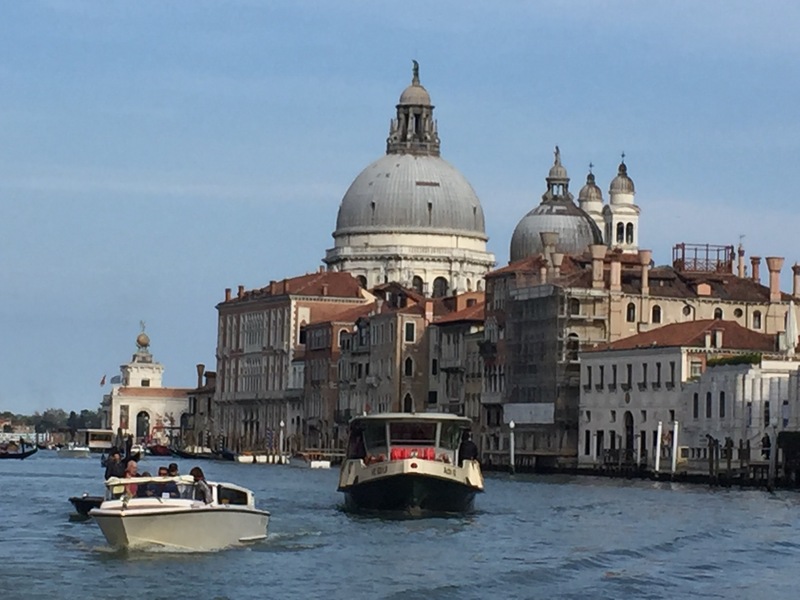 The Venetians are excited to have people who are so enchanted and enamored with their city that they will drop everything and move there to be a part of it. Venice has a resident problem. The city loses 1500 people a year, the old and the young. One of the problems is that with it being such a huge tourist destination, it’s more lucrative to rent rooms on Air B&B per week than to residents on a lease for a month. Check out the 1000s of listings on Air B&B. Despite that challenge and still having two homes back in the states, Adam and Maya set a goal of moving to Venice in 8 months. Not just with some luggage. Oh no, they doubled down. They brought dogs. They shipped furniture. They ended careers. Just days before leaving they signed a lease, sight unseen, of their new apartment in Venice. With that, they’ve never looked back. Two and a half years and they are going strong. After a slow start, where they may have been second guessing their life choices, they finally accepted that they had a great product, that they were an amazing experience and started allowing reviews on sites like Trip Advisor. Things took off from there. They now live a dream life in the City of Love, the envy of Expats everywhere. They are my new heroes and friends and if you are ever in Venice, take one of their tours your first day, so they can coach you on the finer points of the city they love. I took their tour and I’ve included my review from Trip Advisor below. Where ever you go on this tour, you will see that all the locals know and treasure Maya and Adam. It’s the rare street you walk down without hearing “Ciao Adam!” or see a quick embrace with the kiss on each cheek for Maya. Your two tour guides are Venitians of the Heart, Americans still on their honeymoon with the city of their dreams – Venice. As such they take nothing for granted, showering you with beautiful views and local lore alike. This is not a quick in and out, tagging only the biggest and most convenient. We visited 9 locations eating and drinking our way over two miles of the city in establishments stilled owned by families who have run these businesses for generations and continue to do so in a city being engulfed by corporate Disneyfication. 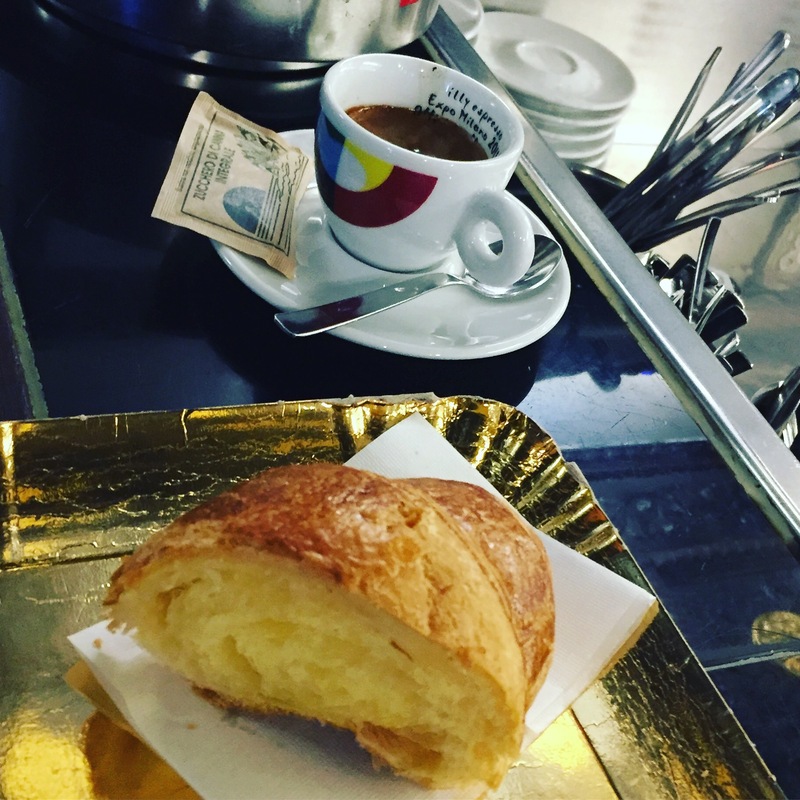 A block a half from where you meet, you start off with “Coffee Corrected” with Grappa and a sweet Coronet, Italy’s answer to the Croissant. With this, and at every location, comes lessons in etiquette and cultural behavior which will serve you well at any of the establishments you visit during your stay. How to approach ordering, how to not get cursed out from the nonna’s for a lack of respect. A variety of establishments follow with an assortment of Venice’s little bites which define the drinking and eating community here. Most places have a variety of choices so even if you have allergies or foods you avoid, there is always something pleasing to the palate. All sourced local. All produced locally. A large sit down lunch which fortunately our group loved seafood because we had a phenomenal pasta with all the luxuries of the sea piled on top. 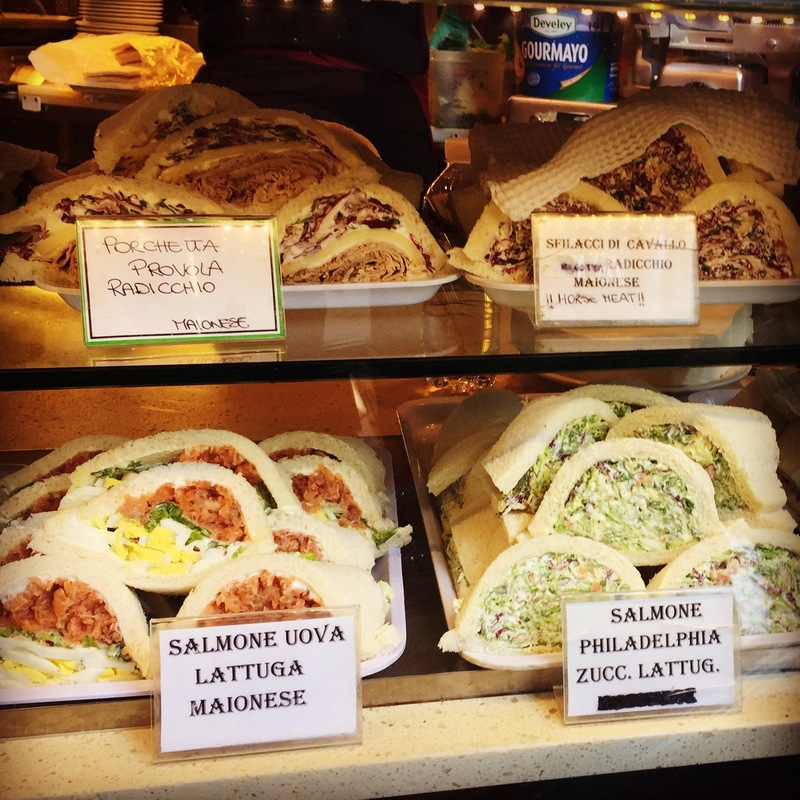 Two dessert places – gelato (which locals consider more like a coffee break) and a pastry place. A final perfect people watching cafe on the grand canal with a “spritz” and a gorgeous view. Sure there are more generic, corporate tours that will hustle you in and out as a huge herd. Take this tour if you want to intimately have this city lovingly interpreted by two passionate Americans who have entwined their lives with the most romantic of cities.